What is Macbryde Home’s latest project? Macbryde homes have a fantastic portfolio of wonderful developments, you’ve likely seen their signs all over the place as they construct wonderful living estates. Their latest is Bron y Castell, centred just off the North Wales business park, itself home to private healthcare practices and a pharmacy as well as a business centre. Abergele is a classic market town with a stunning beach and home of the famous Gwyrch Castle and Gardens – undoubtedly where Castell Bron gets its name from. The development is also right next to Abergele Golf Club, and has unparalleled access to the North Wales Expressway ideal for shooting into England or delving further along the Welsh coast or indeed into the heartland of North Wales. As you can see from our aerial photograph the development still has some way to go, with the site currently laying the foundations and groundwork for the building of houses. 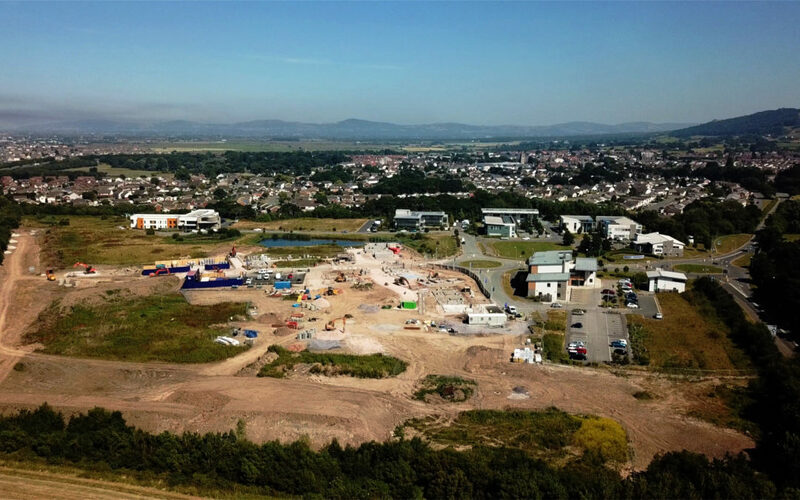 You can see from the image that the site is surrounded on all sides by lush greenery, as well as fields, a golf course, and the greater Abergele town. The development fits nicely into the existing infrastructure of the business park. The site is also right beside a breathtaking sapphire coastline as it looks out into the Irish sea. And in the background, you are treated to a stunning view of the Clwydian mountains. 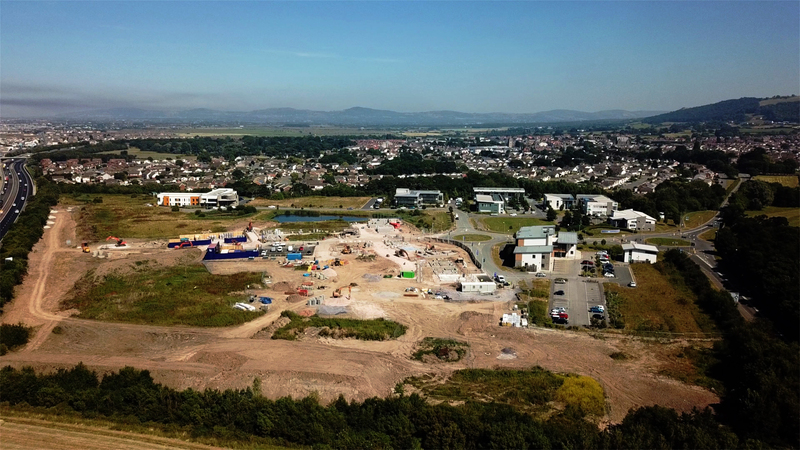 It will be interesting to see how this development takes shape – for the latest information on New Homes in North Wales, NewHomesNorthWales.co.uk is the number 1 resource!